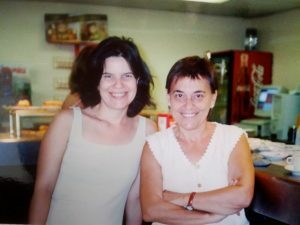 Belén completed her PhD thesis on «Strongly correlated electrons in low dimensional systems» in 2002. She had a postdoc position in Guelph (Canada). Actually she has a permanent position and is a colleague in our group (and a friend). 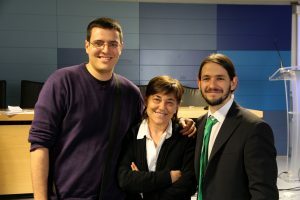 Alberto’s thesis was on «Electronic properties of graphene: Influence of topological disorder and interactions» in 2007. I believe that this was the first PhD thesis defended on graphene worldwide. Certainly, it was the first in Spain. 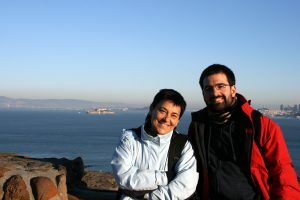 Alberto has a postdoctoral position at the ICMM and is a colleague in our group (and a friend). He wan the 2018 prize of the Spanish Royal Society of Physics for the best outridge paper. 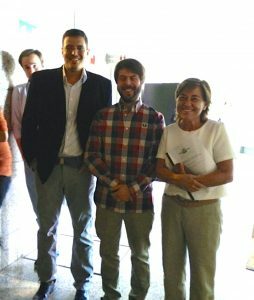 Fernando’s thesis was on «The influence of morphology and long range interactions on the electronic properties of graphene» defended in 2010. After having had postdoctoral positions in Indiana, Berkeley, and Oxford, (he gained two Marie Curie grants), he has a position as Ikerbasque in the Donostia International Physics Center since the fall 2018. He got the 2017 Young Researchers prize of the Spanish Royal Society of Physics. He is now a colleague and a friend. Adolfo defended his thesis on «Topology and interactions effects in Dirac quasiparticle systems» in 2013. 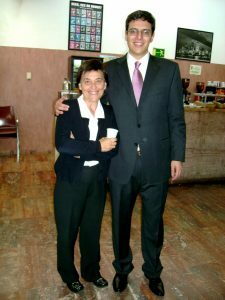 Alberto Cortijo was a co-advisor. After two two-years postdoctoral stays at Max Pank (Dresden) and Berkey, he gained a permanent position in the CNRS (grenoble) (http://perso.neel.cnrs.fr/adolfo.grushin/). He is now a colleague and a friend. Yago defended his thesis on «Emergent gauge fields and topological effects in Dirac matter» in 2016 which I co-advised with Alberto Cortijo. After a postdoctoral stay of two years in Nordita, Stockholm, he gained a CAM contract from the «Programa de atracción de talento» in 2018 and is now at IMDEA in Madrid. A colleague and a friend. Vicente Arjona and Óscar Pozo are working hard on their thesis at the moment.